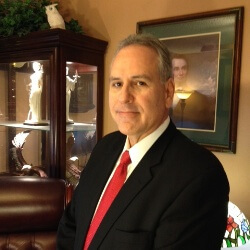 Roland Barbosa, a Dallas child support lawyer, has represented thousands of clients in child support and medical support cases. We represent either side of the dispute whether you are the mother or you are the father in a child support cases. Our attorneys understand that child support can have a dramatic impact on your child’s welfare as well as your personal and family finances. Whether you are trying to initiate child support for the first time or you are trying to increase or decrease the child support amount, we will provide you with experienced attorneys to get the results that are in the best interest of your child. In Texas, parents have a responsibility to provide for their child’s financial needs, even if their marriage or relationship has ended in divorce. The family courts in Texas generally order the parent without the primary physical custody of the child or children to pay child support and to help provide for their child’s other financial needs. Child support is paid until the child turns eighteen or graduates from high school depending upon which event comes last. What if the Texas Attorney General has sued me for child support? Our law firm represents both mothers and fathers of children who have been sued by the Texas Attorney General’s Office for child support, medical support, back child support, or paternity. It is important that your rights be explained and protected by an experienced attorney before you appear in front of a child support court referred to as IV-D Courts in Texas. What other factors can a Court consider in ordering child support? The ability of both parents to financially support the child. Any financial resources that are available to support the child. Each parent’s amount of time spent with the child. The cost of childcare expenses incurred by either parent. Whether either parent has physical custody of another child. The amount of alimony or spousal support is paid or received. While the judge will consider the circumstances of the parents and the needs of the child, the court’s main concern is always “the best interests of the child”. If you have children, your family law case will probably include child support obligations. If your case is a request for visitation or child custody, your case will probably also include child support. If you ask the court to establish paternity or legally name a child’s father, your case will probably also include a child support order. Child support is the legal system attempting to provide for the financial balance for children who grow up living with only one parent. All parents have a legal duty to support their children. A parent is the child’s mother, a man presumed to be the child’s father if he is married to the child’s mother when the child is born, a man legally determined by a court in Texas to be the child’s biological father, a man who signed an Acknowledgment of Paternity (AOP), or an adoptive mother or father. In Texas, a court may order a parent to support his or her child until the child turns 18 years old, or graduates from high school (whichever occurs later), or until the child marries or dies or is emancipated (declared an adult) by court order. If the child is disabled, the court may order a parent to financially support the child indefinitely. Texas courts usually order the parent who does not have primary custody of the child to pay child support and/or medical support. The parent who is ordered to pay child support is called the Obligor. The person receiving child support is called the Obligee. How much will a parent have to pay for child support? Contact us to speak with an experienced, affordable, and aggressive Dallas child support lawyer about your case. Your 1st consultation is free!